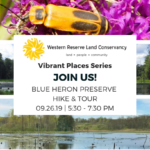 Cleveland will soon have a new 25-acre park thanks to Western Reserve Land Conservancy and its conservation partners. 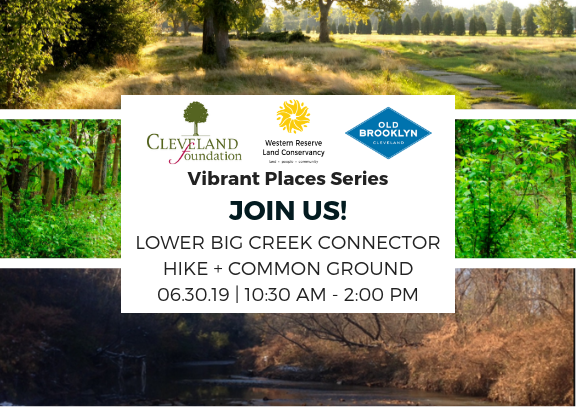 Explore this urban greenspace with the Land Conservancy, Old Brooklyn Community Development Corporation, and community members on June 30. We encourage you to stay after the hike for lunch and our Common Ground community conversation on our environment. In 2015, the Land Conservancy secured funding to acquire the former Henninger Landfill, a construction and demolition debris landfill that sat idle for decades. We secured funding for remediation of the landfill, a process that was completed in 2017. Today, plans are underway to develop a trail system that will allow for full public access and enjoyment. The park will create a large public green space in Old Brooklyn with public access for hiking, biking, walking, birding, and other outdoor recreation activities. The opportunity to create a new park serving Cleveland’s largest and most densely populated neighborhood is tremendous. Additionally, approximately 1 mile of new trails will support an enhanced regional trail network, including a connector between the Ohio & Erie Canalway Towpath Trail, Cleveland Metroparks Zoo, and Brookside Reservation. 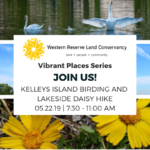 Registration for this event will open on May 1st. Check back soon!